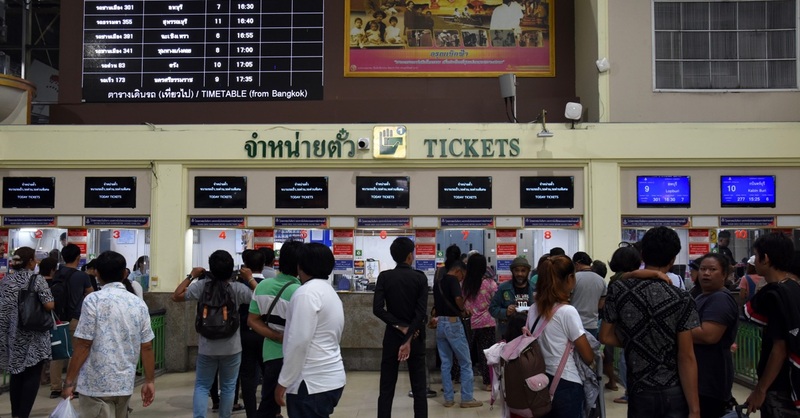 Foreign travellers are still a novelty in the provincial capital of Tak, a laid-back town set along a scenic stretch of the Ping River in Thailand’s lower north. While there’s not a whole lot to do here apart from a few mildly interesting historical attractions, Tak could be worth a day if you’re looking to observe a typical Thai town with some friendly locals. Home to around 30,000 people, Tak town (or Amphoe Muang Tak) is the capital of the same-named province, one of the five largest in Thailand. It’s located in the province’s eastern lowlands and is more closely related to Sukhothai and Kamphaeng Phet than Mae Sot, Umphang and other parts of Tak province located closer to Burma. While those places host substantial Burmese and hill-tribe communities, Tak is more of a typical Thai town. First settled by the Mon more than 1,000 years ago, Tak stood as a western gateway to the Sukhothai Kingdom beginning around the 12th century. Chinese immigrants arrived by the 17th century and played an important role in shaping the town, evidenced by some gorgeous heritage houses that have been preserved along Trok Ban Chin to the south of town. Tak is well known among Thais for its role in the life of King Taksin, a Chinese-Thai who served as governor of Tak during his early career -- hence his name meaning “Sin of Tak.” As a military commander who often led on horseback, Taksin was instrumental in repelling Burmese forces from Ayutthaya in the late 1760s. He then became king of Siam for 15 years, moving the Thai capital south to Thonburi in what’s now a part of Bangkok. An elaborate shrine to the King stands on the north side of town and a huge riverside pavilion was built to resemble his signature pointed hat. Tak’s pretty riverfront features walkways, parks, markets and a pedestrian-only suspension bridge built in 1981. The bridge is an ideal vantage point for the Loy Krathong festival, when locals simultaneously send a thousand candlelit coconut shells, known as krathong sai, floating downriver as a full moon hangs over the night sky. Tak is a good alternative to Sukhothai and Chiang Mai if you’re looking to avoid the tourist crowds on Loy Krathong. Outlying attractions include 700-year-old krabak trees, viewpoints and waterfalls found in two national parks: Taksin Maharat and Lan Sang. There’s also the 154-metre-tall Bhumibol Dam, the largest in Thailand, which transformed the area into a mineral-rich agricultural zone after its completion in 1964. Bring your own vehicle if you plan to explore beyond the town itself. Tak town is clustered along the east bank of the Ping River. The wide riverfront drag, Jompol Road, is joined by three more streets running from north-to-south through the town centre: Chumphon, Taksin and Mahathai Bamrung, all connected by a warren of side lanes. Connecting Bangkok (400 km to the south) to Chiang Mai (270 km to the north), Route 1 is a major highway that also runs from north to south on the east side of town. Highway 12 cuts west towards Mae Sot and Burma. The bus station is located near the junction between these two roads in the northeastern corner of town. Few of Tak’s streets are signposted but you can always head west and find the river to get your bearings. The riverfront area hosts the night market and multiple roofed day markets. You’ll also find parks and places to watch the sunset near the suspension footbridge, which is a highlight and unofficial symbol of the town. If you have the time, take a walk or bike ride over to the more rural western bank. The police station is located on Mahathai Bamrung Road on the north side of town, while Tak Hospital stands off Route 1 within a 15-minute walk east of the riverfront. Bank branches and ATMs can be found in the town centre along Taksin and Mahathai Bamrung roads, including near the Soho and Sanguanthai hotels. Open daily from 08:30 to 16:30 and offering English maps and brochures covering Tak town and province, the local TAT office is found on the northern edge of town off Highway 12, just east of the King Taksin Shrine.  Please sign up as a Travelfish member to download the Tak guide PDF (2.6 MB, 16 pages). Membership costs just A$35 per year (less than A$1 per week) and gives you access to over 250 PDF guides. Browse our independent reviews of places to stay in and around Tak. Read up on where to eat on Tak. Check out our listings of things to do in and around Tak. Read up on how to get to Tak, or book your transport online with 12Go Asia. Planning on riding a scooter in Tak? Please read this. 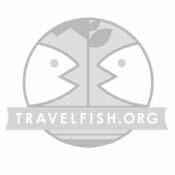 Use the above map to find specific destinations in and around Tak which are listed on Travelfish. Bed icons indicate a guesthouse, hostel or hotel, the knife and fork is an eatery or bar and the four-way circular thingy marks sights, attractions and other points of interest. Click on any icon for a short pop-up and a direct link to the page for that spot. If you are in the area, use the teardrop icon near the top left to show your position on the map (you'll need to allow position sharing for this last feature to work).